Can a Beneficiary of a Deceased Spouse Get Pension Benefits? Knowing the specifics of a pension plan helps retirees minimize complications for survivors. 1. What Happens to My 401(k) If I Die Before Retirement? 3. Can a Trust Be a Designated Beneficiary in a 401(k)? Depending on the particulars of the pension plan, the spouse of a deceased person will receive primary beneficiary status, which may entitle them to benefits. 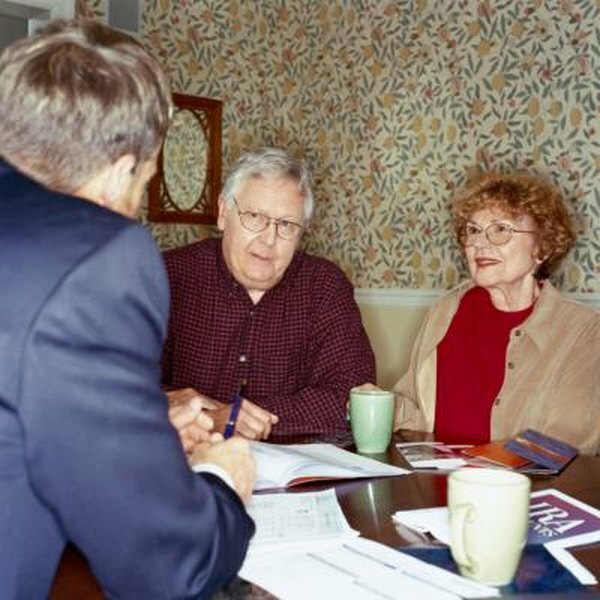 Other retirement accounts, such as IRAs, can also pass on to the primary beneficiary. In general, government pensions offer survivors' benefits to surviving spouses and occasionally children, while the availability of survivors' benefits in other pension plans depends on the plan itself. If a pension plan allows for survivors' benefits, it may limit the benefits to the spouse of the original pension holder, or require that the spouse sign a consent form to allow another person to obtain the benefits. For example, the General Board of Pensions and Health Benefits, an organization that manages pensions for workers in the United Methodist Church, assumes that the legal spouse of the deceased is their primary beneficiary, and requires a written, notarized form to change that. The beneficiary may be a person or organization, or even several entities, but the rules of the pension fund supersede wills. If the pension plan allows for it, the primary beneficiary of the plan, who is usually a spouse, may receive some or all of the benefits of the pension. These include money left in the plan, annuity payments remaining under certain annuities, or more generally, other benefits defined in the plan to pass on to the beneficiary. For example, an annuity due to pay out for 15 years would pass on to the survivor if the original annuitant died before the 15 years end. Survivor beneficiaries can also obtain control over other retirement accounts, such as IRAs. According to the IRS, the survivor may take over the account, roll it over into one of their own accounts, or simply make themselves the primary beneficiary of the account. For a Roth IRA, the account must be pre-specified to allow the spousal beneficiary to keep the account; otherwise, the interest in the account must be distributed within five years of the owner's death. The particulars of each pension plan vary, so different funds will have different rules about designating beneficiaries and what benefits flow to beneficiaries after the death of the original owner. Some plans allow the specification of two tiers of beneficiaries -- primary and secondary, in which primary beneficiaries, such as spouses or children, get all of the benefits as long as they live, and then any remaining benefits pass on to the secondaries after no primary beneficiaries remain.